"I'll be safer alone." Lionsgate has released a second fun trailer for the upcoming comedy The Hitman's Bodyguard, about the world's best bodyguard assigned to protect a hitman who has been killing his clients all along. The first red band trailer was hilarious, and this one has some great scenes in it, too. Though this really shines with the red band label. This wacky action comedy stars Ryan Reynolds as the world's top bodyguard who is hired to protect a hit man who must testify at the International Court of Justice. Samuel L. Jackson plays the notorious hit man, and they must get over their differences in order to make it to the trial on time. Also starring Gary Oldman, Salma Hayek, Elodie Yung, Joaquim de Almeida, and Sam Hazeldine. This looks fun, I just hope it's not too dumb. There's some nice potential here, bring it on. You can still watch the first red band trailer for The Hitman's Bodyguard here, to see even more footage. 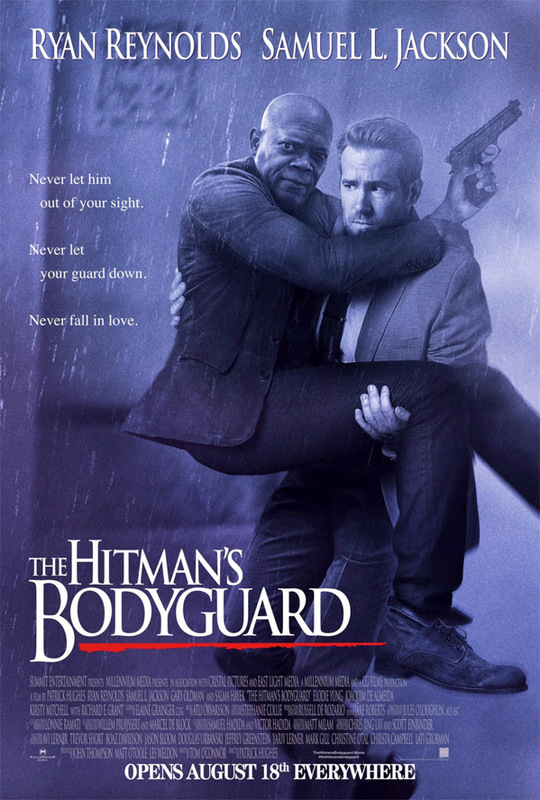 The world's top protection agent (Ryan Reynolds) is called upon to guard the life of his mortal enemy, one of the world’s most notorious hitmen (Samuel L. Jackson). The relentless bodyguard and manipulative assassin have been on the opposite end of the bullet for years and are thrown together for an outrageous 24 hours. During their raucous adventure from England to the Hague, they encounter high-speed car chases, outlandish boat escapades and a merciless Eastern European dictator (Gary Oldman) who is out for blood. The Hitman's Bodyguard is directed by Australian filmmaker Patrick Hughes, of the films Red Hill and The Expendables 3, as well as a few shorts. The screenplay is written by Tom O'Connor (Fire with Fire). Lionsgate opens The Hitman's Bodyguard in theaters starting August 18th this summer. Thoughts?